Believe it or not, there was a time when a one-bedroom condo in Toronto was around 900 square feet. Today, picture about half of that, sometimes even smaller. The decreasing size of Toronto’s new condo units is a response to the need for higher density living and affordability concerns. As affordability issues in the new single-family home market remain prevalent, many families are turning to the new condo market as an affordable option. This strong demand for family sized units will ultimately drive up the average square footage. But currently, two- and three-bedroom units still come in around 600 to 1,000 square feet. 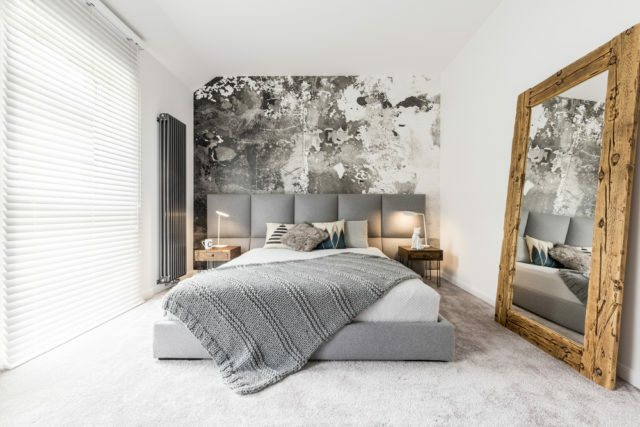 So, as we all continue to adapt to our small living quarters, we’re sharing a few tips on how to make your condo look and feel much larger than it actually is. Light coloured walls allow for brighter spaces, which creates the illusion that the space is larger. If you do happen to fall in love with a dark paint colour or wallpaper, save it for your bedroom where it’s okay to have a small cozy space. If you have kids or plan on entertaining frequently, you want your main living spaces to seem as large and open as possible! Obviously, this is an impossible renovation in a condo, but there are tricks to make your ceilings seem higher. 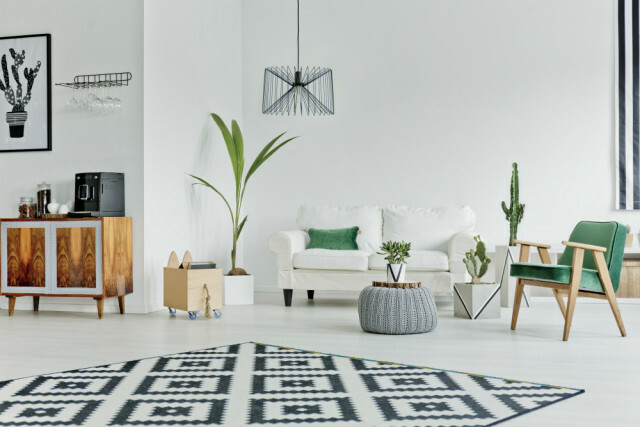 One thing you can do is place tall items like floor lamps and plants in far corners of the room, this draws attention to the end of the room and causes the ceilings to recede. You should also avoid low hanging, large lighting pieces. Both of these tips and more can be found in Red Barrinuevo’s post on eieihome.com. 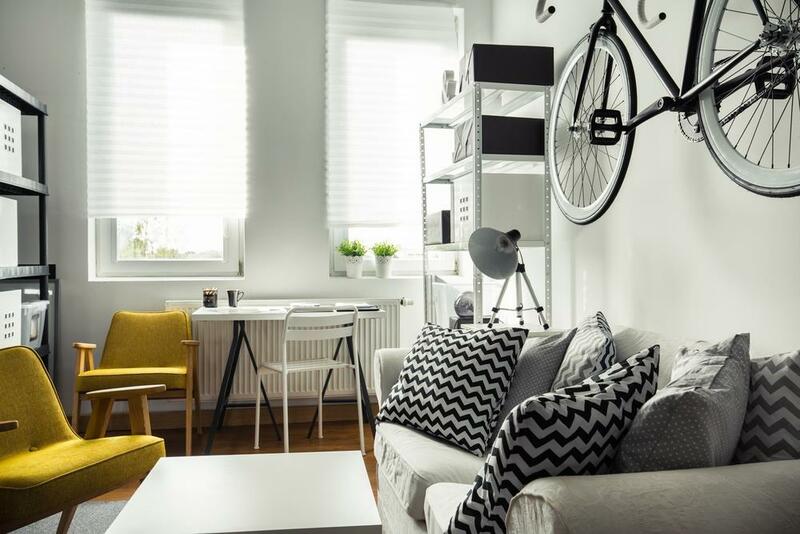 Your square footage is limited, don’t take up space with random clutter! Embracing a minimalist lifestyle is ideal, but that’s not always an option when you have kids. So, if you do happen to have many small items needed throughout your condo, acquire furniture with hidden storage. This may seem counterintuitive because you’ll probably never use the space behind your couch, but it actually makes the room feel larger. The boundary of space around your furniture tricks the eye into thinking the space is larger than it needs to be. Another furniture tip is to select styles with exposed legs. Basically, the more open air you can see, the larger the space will feel. 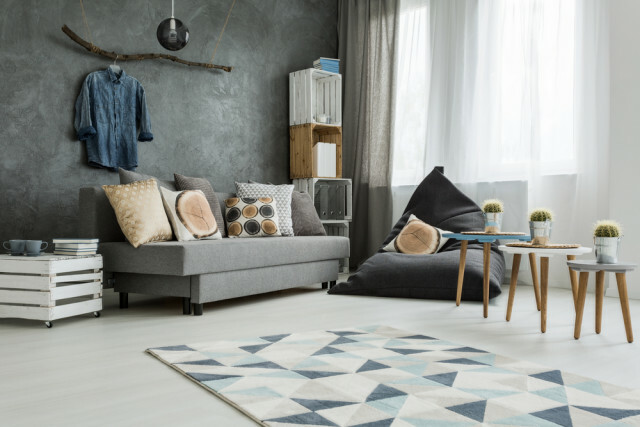 An area rug is great for tying a room together, and if you use stripes, it can also elongate the room. 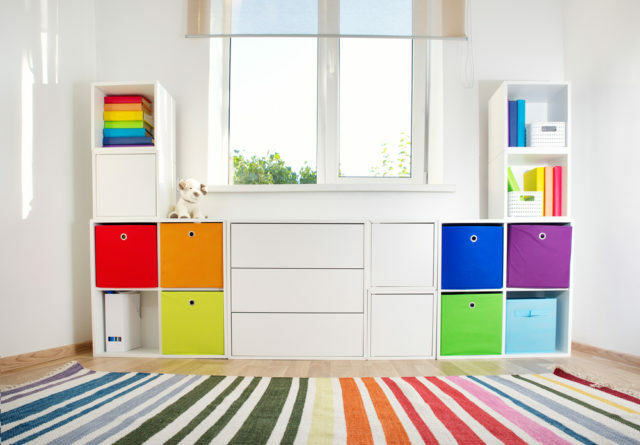 Make sure the stripes are vertical upon entry to the space to achieve this effect. This one’s no secret – everyone knows large mirrors make a room feel larger. You can also get a large floor mirror that leans against the wall and reaches the ceiling. Place the mirror in typically tight spots, like entries, dining areas, and your bedroom. 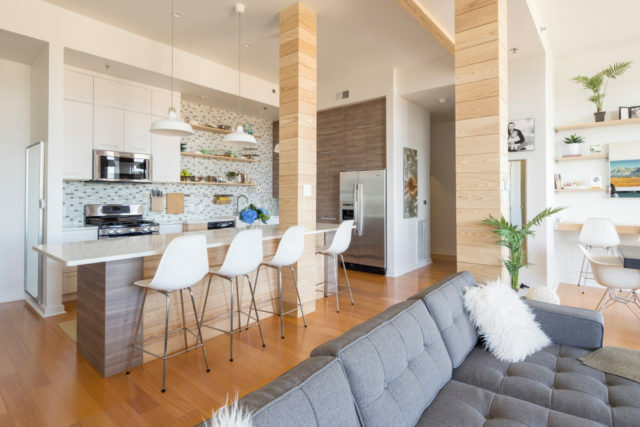 We hope these tips and tricks help make your new condo feel larger!